Because the nation’s media has been focused almost exclusively on the problems of America’s largest, and only publicly funded, fully integrated healthcare system – the Veterans Health Administration — we barely hear anything about the successes of VHA healthcare. Pioneering treatments for Post Traumatic Stress Disorder (PTSD) (from which anywhere from 18-30% of veterans suffer) is one of the most significant of those successes. Recent studies have documented that the VHA’s mobile phone app PTSD coach is highly valued by veterans and that the VHA performs better on the delivery of medication treatment for mental health needs than the private sector. 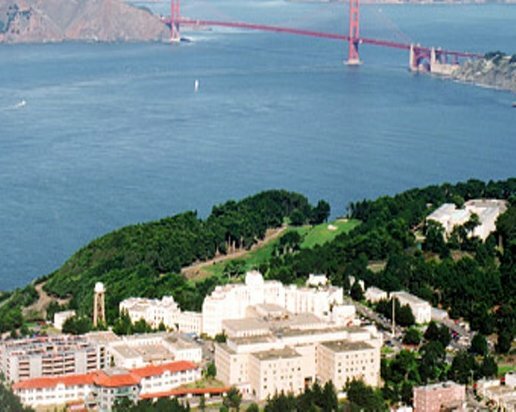 Many innovations in health care are being pioneered right here at the San Francisco VA Medical Center (SFVAMC) at Fort Miley, where I have spent over a year observing caregivers and their patients for my forthcoming book on the VHA. One of the research projects I will be writing about explores the impact of killing on veterans who have been in combat and how it influences their response to PTSD treatment. The project ‘s lead investigator is clinical psychologist Shira Maguen — Mental Health Director of the OEF/OIF Integrated Care Clinic and Staff Psychologist on the Posttraumatic Stress Disorder Clinical Team (PCT). Maguen began her research when she worked as an intern and then a post doctoral fellow at the VHA’s National Center for PTSD at the Boston VA Medical Center. She was impressed by the fact that a number of her patients who had undergone treatment weren’t doing as well as she had hoped. The usual focus of PTSD therapy was on the deprivation or threats the patient had experienced, on what had been done to him. Was this approach missing something, Maguen wanted to know? Veterans who had been in therapy for years, told researchers they had never talked about these things and felt terrible guilt, shame and contamination because of these experiences. “They felt they didn’t deserve a family or to have children or to have successful relationships or even be successful in life,” said Maguen. Members of the military were experiencing what is now called moral injury, which happens when people violate moral rules or beliefs. “In war,“ Maguen elaborates, “people have to make quick decisions.” When those wars occur in urban environments like Iraq, this may mean killing a child or civilian who someone thinks may be carrying a gun or who gets caught in cross fire or explosions. Maguen and her colleagues began to measure the impact of killing in three different eras – Vietnam, the Gulf War, and Iraq – and consistently found that killing was associated with PTSD and significant emotional problems that often made it hard for people to function in civilian life. At the SFVAMC the research team held seven focus groups with 26 veterans. They used the information and insights they gained to construct a specific measure, called the Killing Cognition Scale (KCS). The KCS captures the various ways that veterans may think about or perceive their past actions. In particular, the KCS tracks the guilt or shame they may experience, as well as their ability to forgive themselves, or ask for forgiveness from others. “The KCS helps us get a sense of where are veterans most stuck. Is their problem guilt? Is it shame, or a sense of having been contaminated by their experience? If we understand the distinctions we can better craft treatments.” Guilt, Maguen explains, may lead people to reach out to others to make amends, while shame has been linked with reckless risk-taking, social withdrawal, and even decreased empathy for others. Maguen and her team developed a special treatment, that can supplement others, to deal with killing and moral injury. In a randomized control trial jointly funded by the University of California at San Francisco (UCSF) and the VHA, one group of veterans received six to eight weeks of a specially designed treatment called The Impact of Killing (IOK). The control group –some of whom were already in PTSD treatment –had to wait for six weeks to receive the newer therapeutic intervention. They were allowed to continue their groups or individual therapy but not, however, to engage in Prolonged Exposure Therapy or Cognitive Processing Therapy. Those patients who received IOK therapy began by filling out the Killing Cognition Scale so therapists could gain a nuanced understanding of their symptoms. Then, in individual therapy sessions, they learned about the physiological responses to killing and how they are connected to emotions and thoughts. Therapists then explored their feelings of guilt, shame, or contamination. The most important sessions of all, Maguen explained, are those that consider self-forgiveness. This process of asking for forgiveness and self-forgivness, Maguen elaborated, is not designed to deny or condone problematic actions but rather to help veterans get a reprieve after years of self-punishment, which may involve divorces, estrangement from children, lost jobs, alcohol and drug abuse, as well as long stints of homelessness. After the process of amends, patient and therapist create a forgiveness and an amends plan for the future thus assuring that the therapeutic experience is not only present but sustainable over the long term. After this trial, Maguen and her colleagues found that those who participated in the treatment had reduced mental health and PTSD symptoms. Depression, and anxiety symptoms were reduced. Veterans were also able to be more intimate with a partner, ruminated less on bad experiences, and engaged in more community events. As they forgave themselves, they were able to be more compassionate and accepting of others. The researchers are publishing a paper on this innovative therapy and hope to roll it out at multiple VHA facilities across the country. Hopefully, Congress will heed this kind of logic as it considers the fate of the VHA. Healthcare journalist Suzanne Gordon has authored 18 books, many on the problems of patient safety in the private sector healthcare system. She is writing a new book on VHA healthcare and has spent the past year and a half visiting VHA facilities around the country.